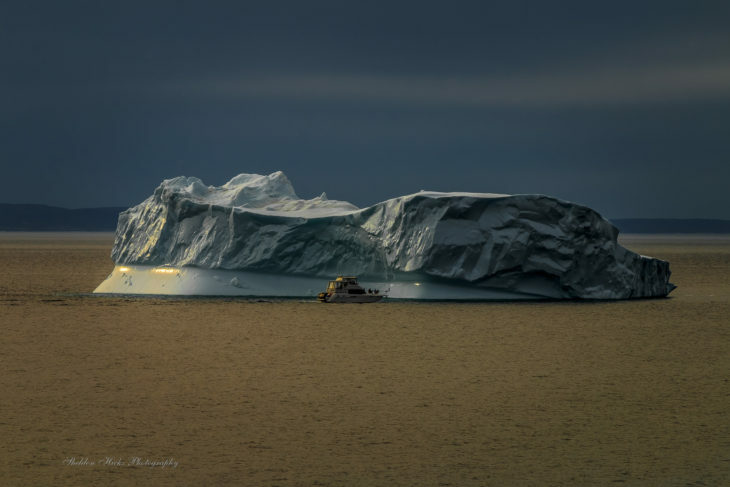 Newfoundland is one of those rare places in the world where icebergs literally float by our doorstep. Wonders of the arctic mist, these majestic creatures break off in spring and follow a path south to Newfoundland. 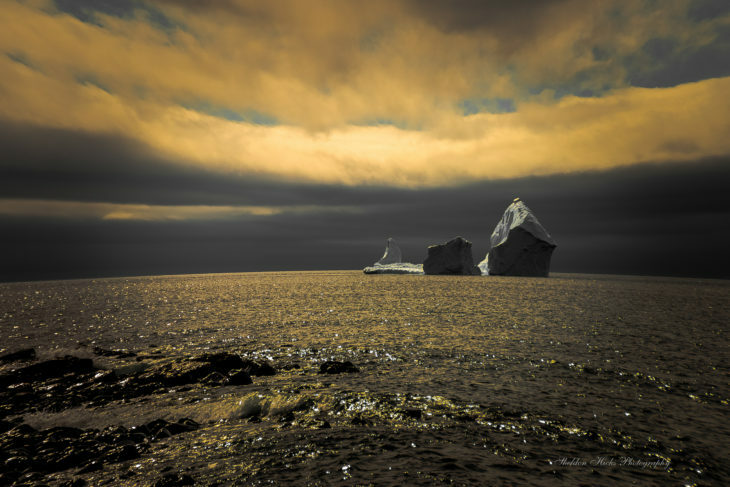 The final resting place of these icebergs is the coastline. 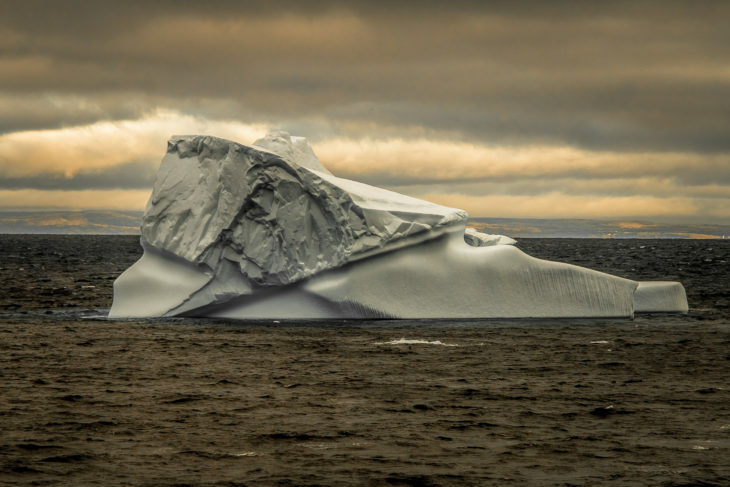 Attracting attention from around the world, icebergs are followed by tour companies, videographers, tourists, social media moguls, TV shows and talented photographers. 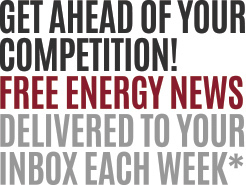 The iceberg craze is founded in the magnetism of experience that happens when you see them. Alongside a mammoth iceberg you are left speechless and in awe. You get the understanding of nature…it’s balance and wisdom as you approach them. They steal your breath and command your eyes. These beauty beasts are rare and treasured and sharing them with the world has become a pursuit of thousands each year. 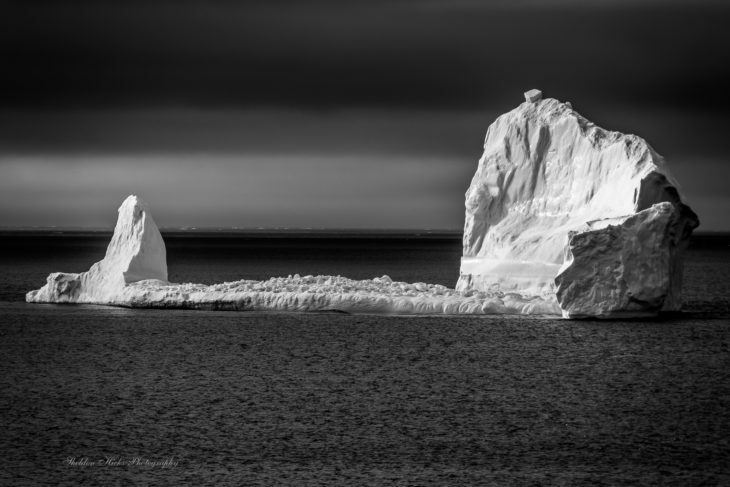 Icebergs have been the source of demise with the Titanic but we’ve since learned to harness their beauty. 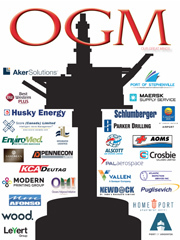 These days if icebergs are in the way of oil and gas operations offshore, we tow them away. If they are rolling and tipping we move out of harm’s way. If they are in the path of our boats we can now navigate around them. So most iceberg hazards seem to be a thing of the past. Icebergs are the sensation of drone lovers, they are the passion of daredevils who actually scale them like walls and icebergs are even big enough that helicopters have landed on them. 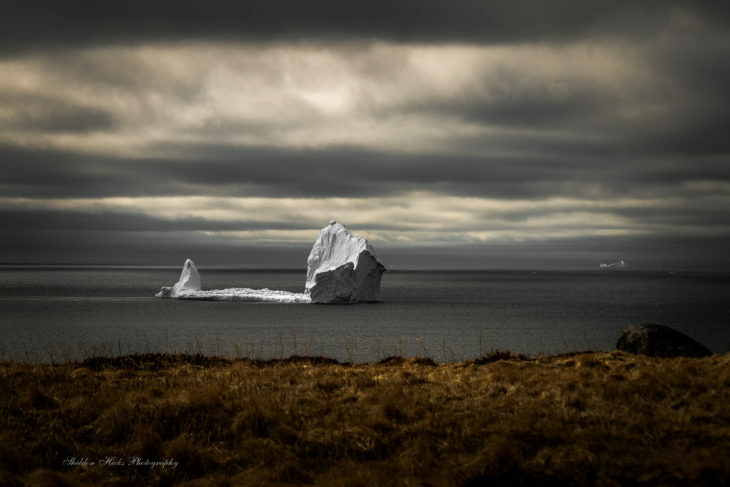 Icebergs have become a passion and expression of not only sports, tourism, art and music enthusiasts but they are the very essence of what Newfoundland is all about – astounding rugged beauty. Through the lens of local photographer Sheldon Hicks, featured here are some of his photos from last spring. Each one has a character, a name and a distinct home in the eye of his camera. 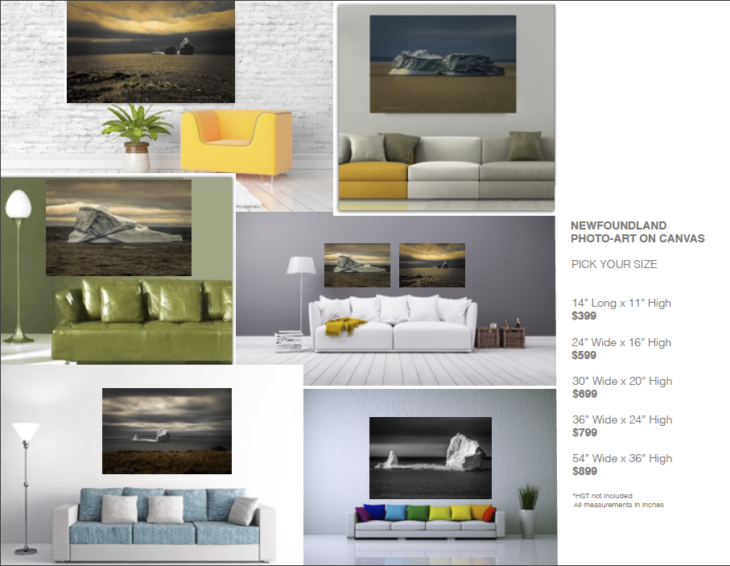 Blown up to wall size hangings these iceberg photos command the attention of a room, like no other. 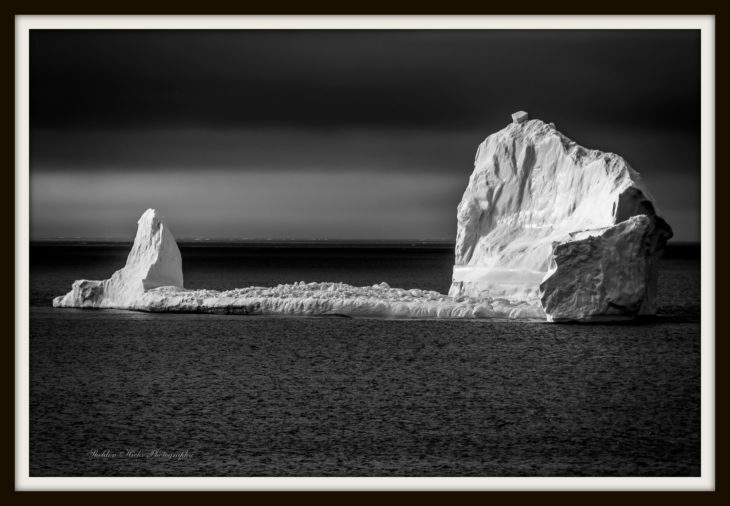 Would you like to have a Sheldon Hicks Iceberg Wall Hanging for your home or office? How about as a Christmas gift? Yes! 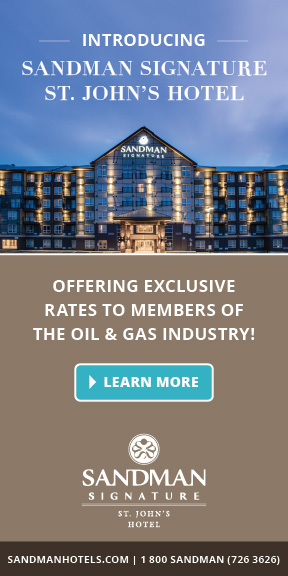 I’m very interested in pricing and options.